Frenchie's continent! This time around let us take you on my European adventures with my best local tour guide! 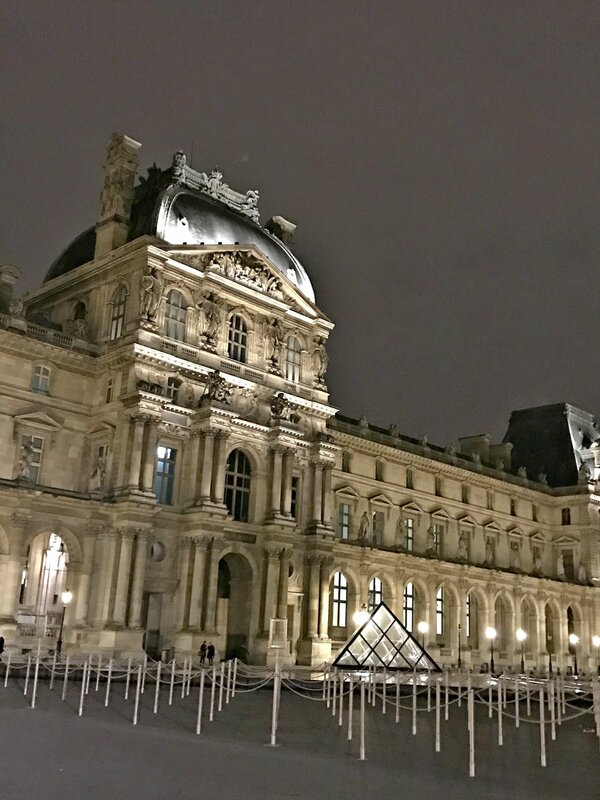 What are the must see and must do in Paris? I will try not to do so much of a travel guide in my blog, but I will somehow go with the subtle advice from here on. So for first-time visitors (like me) in the City of Light, these are the places to see and go. I know for many of you, Paris can be a little bit over your budget. Their currency is euros after all. The cheapest way to do Paris, is really knowing what you wanted to see and go. And from that plan, you can then decide if you would take the metro, walk, and just choose the museums or places you wanted to get in, because there are entrance fees on most famous landmarks. Prior to this trip, even with my local French guide, I already made my own research of the places I wanted to see and go. After all, we only have four full days in the city. First and the top of the Paris-Must-See-List is: THE Eiffel Tower! It's the most famous landmark and distinctive symbol of Paris. Around seven million visitors would come to the city to get a glimpse of this most picturesque tower in the world. At 312 m (1, 023 ft) high, it was the world's tallest building until it was surpassed by New York's Chrysler Building in 1930. You can actually dine on the top of it or just go to the viewing gallery. We didn't do any of that, or even came closer to the building. We just stayed in Trocadero, which is I think the best point to take pictures. You can walk from there to get closer. But we didn't go any closer because it was Christmas eve, I just landed from Brazil, and I was freaking freezing! So hopefully, I can enjoy Eiffel Tower on summer time. The world's most visited museum also contains one of the world's finest collections of art and antiquities. It was actually once France's largest royal palace. The best time to avoid tourists is to come at night or early morning. In that way, you can savor the pyramid to your pictorial sessions. We didn't go inside this museum because it's so huge that you really need to spend a whole day to make the most out of it. One of the most famous avenues in the world. It's also the route for state processions, victory parades, and other city events. This is where you can find flagship stores of international brands. Walking along the avenue is an essential Paris experience. Napoleon's triumphal arch, celebrating battle victories, stands proudly at the top of the Champs-Elyssées and, along with the Eiffel Tower, is one of the city's most enduring images. It has a museum and a viewing platform. Admission is 9.50 euros. Try to get there early, as the morning light shows the golden tone of the stonework. We were staying in Montmarte neighborhood that this famous landmark is just a few blocks away. Also known as "red windmill" and cabaret place. The show that they've been performing since 1889 has all the razzmatazz. A basilica church in Montmarte that watches over Paris from it's highest point. The basilica was built as a memorial to the 58,000 French soldiers killed during the Franco-Prussian War (1870-71). It took 46 years to build and was finally completed in 1923 at a cost of 40 million francs (6 million euros). If you want to have a breathtaking view of the sunset in Paris, this is the place to go! This is the final resting place for the nation's great figures. Originally built as church and was intended to look like the Pantheon in Rome, but actually more closely resembles St. Paul's Cathedral in London. One of the world's most famous pieces of modern architecture today. Architects Richard Rogers and Renzo Piano startled everyone by turning the building "inside out", with brightly colored pipes displayed on the façade. This great Gothic cathedral is the "heart" of the country, both geographically and spiritually. This is where we attended a Sunday mass and the security was very tight. The church has two entrance doors because most of the tourists wanted to go to the tower for 8.50 euros. But it's free every 1st Sunday of the month, wherein the line can be very, very, very long. Since we were there for the mass, we entered the other door. This Gothic masterpiece was built by Louis IX as a shrine for his holy relics of the Passion and was completed in 1248. It is considered the most beautiful church in Paris, for its 15 stained-glass windows soaring 15 meters to a star-covered vaulted ceiling. Entrance fee is 12.50 euros. This former railway station is one of the world's leading art galleries and, for many, reason alone to visit Paris. I particularly asked Frenchie to take me inside this museum, and the only museum for that matter, because of Claude Monet's artworks. Entrance fee is 12 euros. But free on every first Sunday of the month. 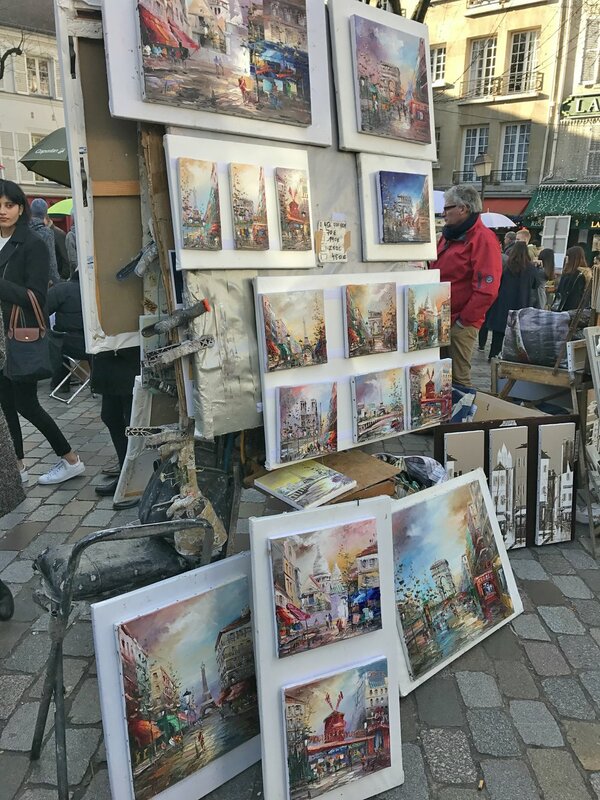 In the 19th and early 20th centuries, painters and poets put "art" in Montmarte, and it will forever be associated with their bohemian lifestyle. Understandably, it is still the place where you can find painters and artists showcasing their crafts. This is also where I bought my pasalubongs. 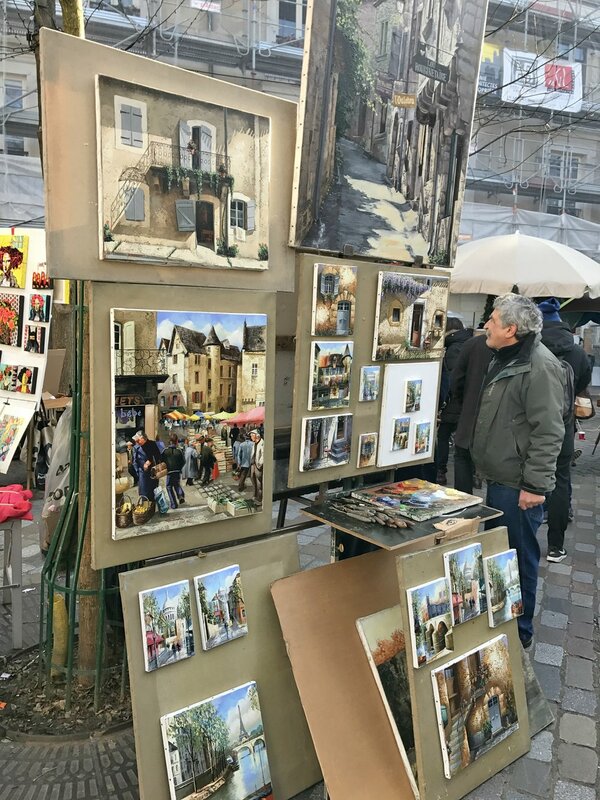 Probably my top pick of what to see in Paris. Ever since I watched Before Sunrise, this place is my ultimate go-to-place-once-I-get-to-visit-Paris. It is the most famous English-language bookstore in the city. They hold regular author events and readings both in English and French. I love the place! It has a charm and character of it's own! Since we were on a budget, we mainly ate at Asian restaurants, which have cheap and hearty meal options as compared to the infamous French cuisines. French cuisines are famously known to have small servings. 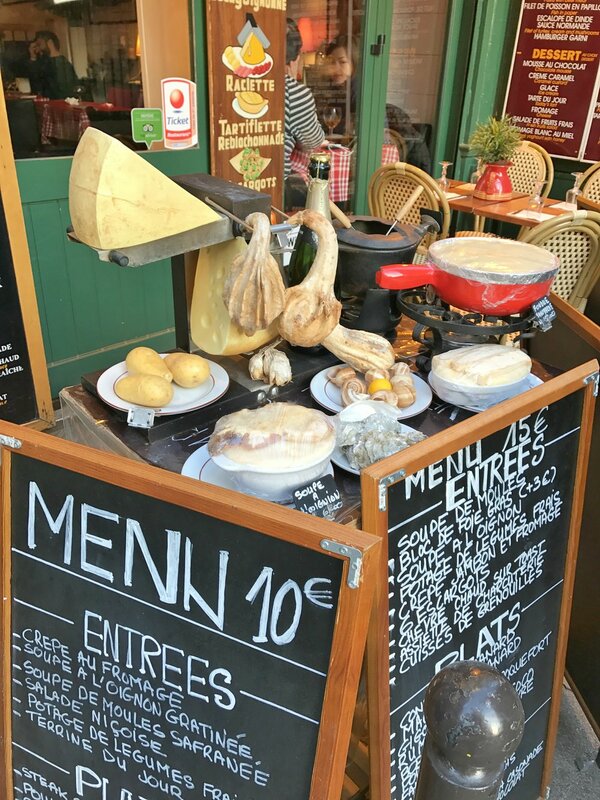 To be able to eat the French food in a cheaper rate, always ask for prix fixe (fixed price) or plat du jour, which is like a set menu meal that is available in most French restaurants during lunch time. They costs around 12-20 euros per person. Also, it's often cheaper to have a drink or snack at the bar than when sitting at a table. Of course, if you're a coffee lover, just go to any cafés-- order a cup and people-watch, and you're good! My all time favorite French movie is Amelie. I have watched this film dozens of time! So I know that this is in the menu to see in Paris. The locations were easy to locate because they have put signs and memorabilia from the film. 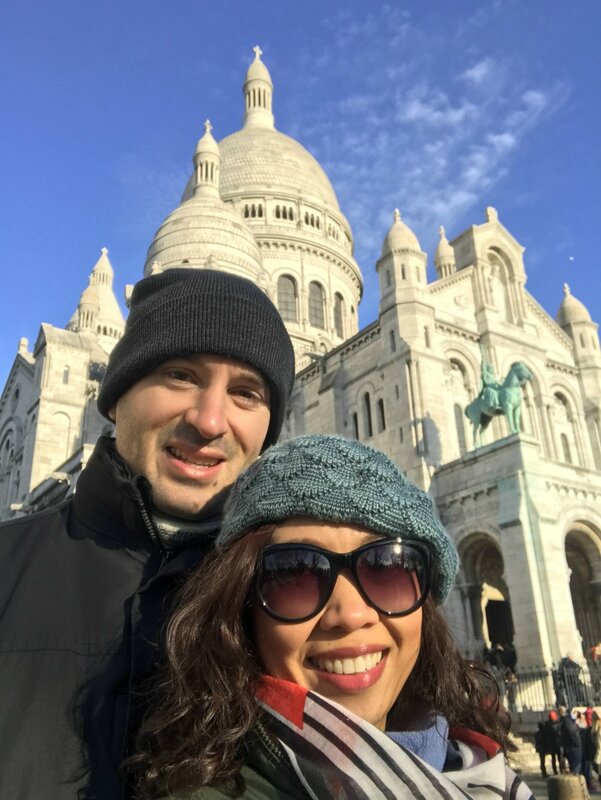 We stayed in Montmarte, which is where most of these places can be found, so it was a great way to rekindle the moments of the movie in my head! Do you have a must-see list of Paris? WHat do you want to see? What was my first impression of Paris? Honestly, I wasn't blown away as much as I expected to be. I was somehow expecting it'll give me a type of feeling when I first came to New York and Rio de Janeiro. For both cities gave me an adrenaline rush of excitement and the energy was too infectious. But with Paris, I don't know, it was at one point, blunt. Perhaps, it's with my word: expectation. Or maybe because I came in the winter season, which is my least favorite season. Or maybe, I watched way too many Hollywood movies about the city that I was having all these scenes in my head, hoping it will all be just the same as I saw them. Yeah, I wasn't as fascinated with the city as I expected myself to be. It's not all bad. I still think that the city is beautiful in its very artsy way. But somehow something is missing, at least from my opinion. Nonetheless, I can't seem to pinpoint what made me indifferent with the City of Light and the most romantic city in the world. Perhaps, in my next return, I may have a different opinion about it. It's beautiful in it's very historic and classic way. Every building and monument is a reminder of the past that dwells so greatly in our present time. The art and grandeur of every street is laudable. I now understand why great poets and painters of all time have chosen this city as their residence for a good amount of years. The Parisians have really been living to their stereotyped-identity, being café lovers and fashion trendy. Museums, parks, gardens, and shops have its own distinct feature and vibe that will fascinate you depending on your mood. The metro needs improvement though. It's really not wheelchair friendly, or in our case, luggage friendly. I am looking forward to actually really immersing myself in this city. But for now, those our my few impressions about the City of Light. I'm very thankful that my first visit was with my Frenchie, who schooled me with all the history lessons about every place, monuments, museums, and streets that my ever curious mind wanted to know about. Have you been to Paris? What was your first impression?